(L-R) Director of Security and Defence Leidos Australia Paul Chase, Assistant Secretary Critical Systems, Joint Systems Division Alison Petchell, Managing Director of Leidos Australia Christine Zeitz and Head of Electronic Systems Division Rear Admiral Tony Dalton after signing the sustainment of the Australia Defence Force's Joint Command Support Environment contract in Canberra on 26 October, 2016.Image via Commonwealth of Australia, Department of Defence. Many of Australia’s leading defence industry businesses are taking up the challenge of achieving better diversity and increasing the number of women in the sector, but claims that women are not in the industry have been rejected by the managing director of one the country’s leading primes. Christine Zeitz, managing director of Leidos Australia, told Defence Connect half the battle for companies struggling to recruit women may be in advertising. "My view is, and I speak a lot to the male leaders in defence around increasing their participation of women, and I always say that the women are there," said Zeitz. "So, if the question is 'I put an ad out and I can't get any women responding', then you have to rewrite the ad, so it appeals to a woman. And that's what we're doing, at the moment. We actually work on our recruitment advertisements that go to market. We actually bring in a consultant, we write them in a way in which they'll appeal to both women and men." Zeitz said this approach, which is undertaken by Leidos, is one that recognises that simply having the will to increase gender participation will not happen overnight. "What I would say is that in all aspects, we can't just expect this to happen," Zeitz said. "So, for people that are looking to increase the gender participation in their executive levels as well as the feeder graduates – and we did this for our graduate ads as well, I have to say, and increased 23 per cent the number of females applying at graduate level – so, I think what I would say is it's not just going to happen, because it hasn't happened for the last 20 years. so I'm not sure why anyone would think it'd happen in the next 20. You do actually have to focus on recruitment, retention, training, all through the organisation to attract and retain really clever women. So, it doesn't just happen ... It's like anything that you want to do in your organisation, when you want to move a culture, you have to put the enabling pieces in place to have that culture move." 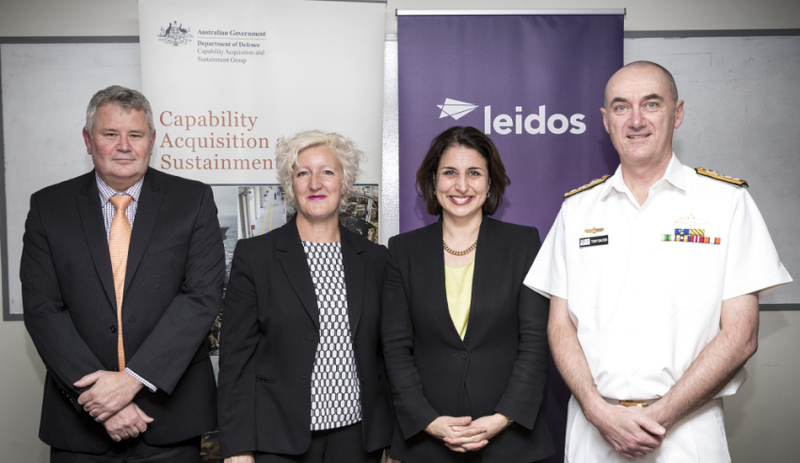 Leidos Australia's executive leadership team of 10 currently consists of four women, including Zeitz, and six men.